Dabbling in the occult has been found to be a common trait in school shooters. 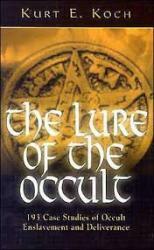 This book is small but loaded with information about occult practices and means of detecting them. It is written from a religious point of view but the 193 case studies will help anyone see the occult for what it is. At just $4.95 this book makes an excellent handy resource for those working with youth.